Third place in Poland represents the third podium finish in the 2016 FIA World Rally Championship for the New Zealanders who finished second in Sweden and won outright in Argentina. The result moves Paddon into third place in the WRC drivers’ championship and strengthens Hyundai Motorsport’s second place in the manufacturers’ standings. “We’re really happy to come home with a podium,” said Paddon who finished just 2.3 seconds behind Ott Tanak. The seventh WRC round of the year concluded on a wet and slippery morning of action on Sunday, in contrast to the warm, sunny summer conditions of the previous three days. 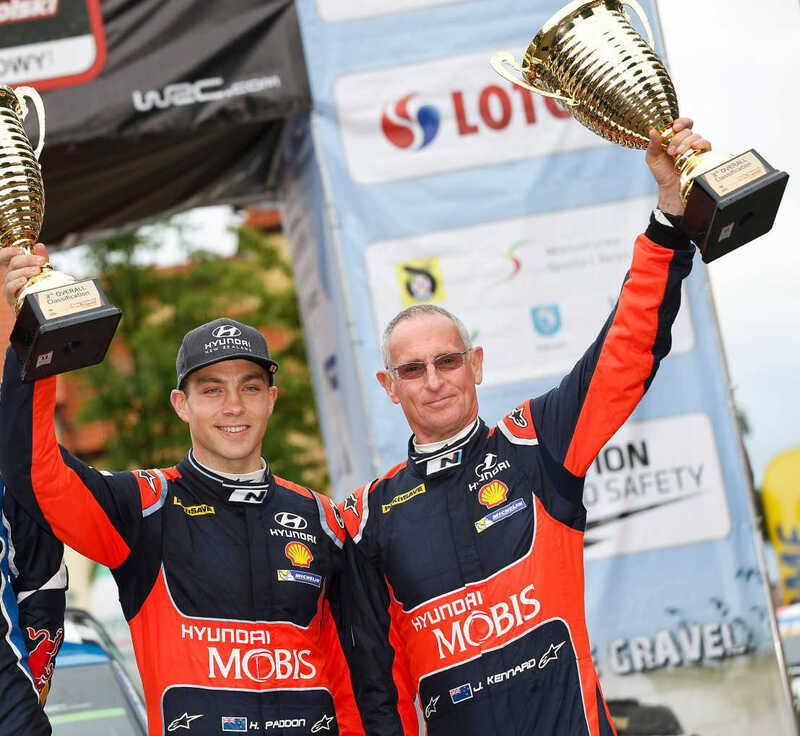 Paddon’s third place gives Hyundai Motorsport its second-ever Rally Poland podium, following a top-three for Neuville back in 2014. The new generation i20 WRC showed its pace with four stage wins over the weekend. The car has now taken two victories, one second and two third places in seven rallies. Paddon and Kennard return to world-class rally competition later this month with the 28-31 July running of Rally Finland, one of Paddon’s favourite rallies due to its incredibly high speeds and similarity to the roads traditionally used for Rally New Zealand.